It’s always a great time for small home improvements, and repairing window sills is actually an easy home repair project! 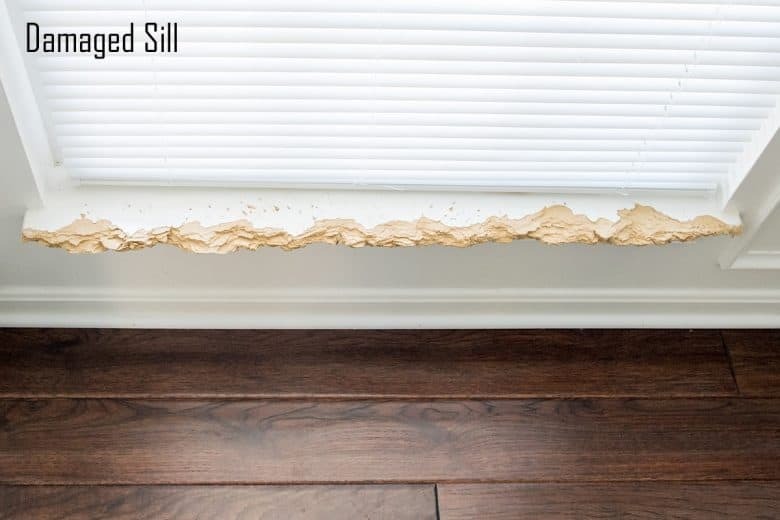 A window sill is the bottom portion of the window, and usually- but not always- has a lip that overhangs the trim molding and over time these can get damaged or even rot. 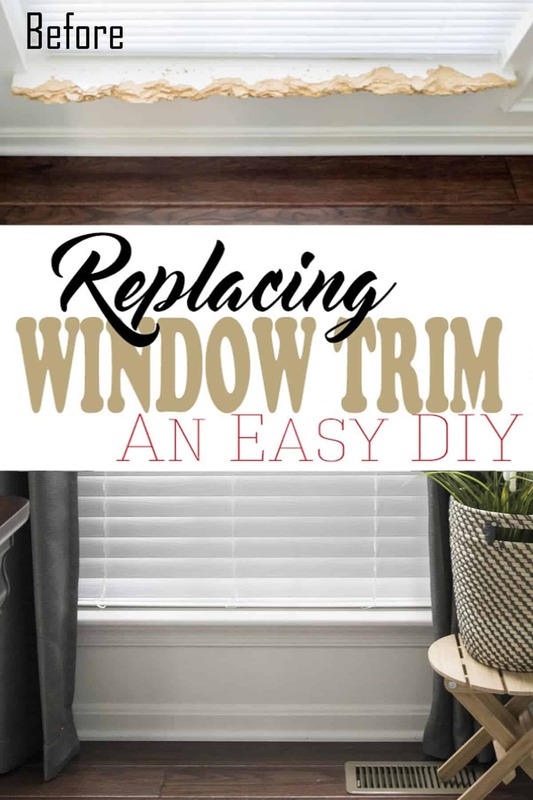 Repairing window sills isn’t a hard DIY and I try to share simple ways to make DIY improvements to your home. For this tutorial, the same principles apply whether it is replacing an interior or exterior sill. We have been working on small projects such as this so this is republished from an older article in the hopes that we can all be inspired that the DIY doesn’t stop when the temperatures drop. So, first, we have the crime. There’s actually 3 of these that look this bad. This damage is all from a wonderful pup we rescued from some dire circumstances. Unfortunately, he has severe separation anxiety, but it seems to have calmed down after a year of working with him. So this week, we are replacing the windowsills and repairing the window trim underneath. *This post may contain affiliate links to products that I use and recommend. The first step is always the most worrisome, right? Every window should be installed into the wall framing so that the window itself does not sit on the windowsill or trim. The removal of the sill is actually quite easy. The seams are usually covered by caulk and painted to create a smooth look so you are breaking that line of caulk. 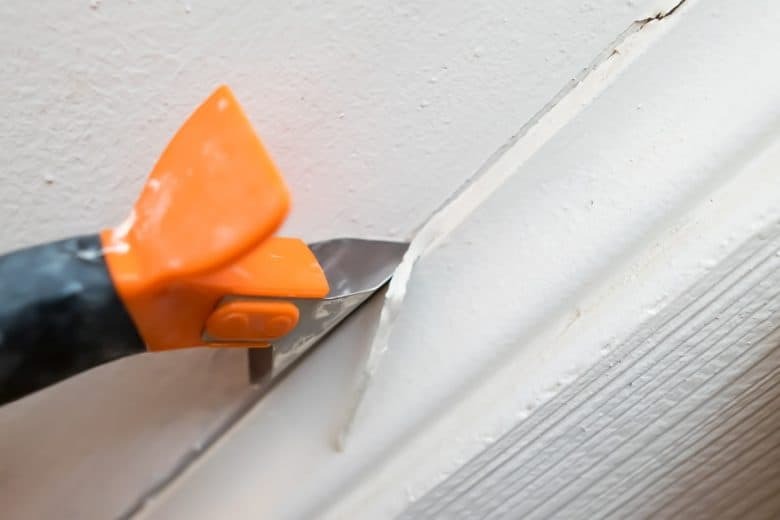 First, we ran a cutting blade (This is my favorite caulk removing tool.) around all the edges including between the underneath trim and the window sill. Then we used a hammer and banged/popped the sill upwards, being careful to avoid any further damage. We pulled out the rest of the nails that were left behind. At this stage, the biggest thing to watch for is any rot that may be around the frame. Most rot will need to be removed, or it will continue to spread. If you do find rotted wood, replace or use a product like this to stop rotting. And, of course, make sure that you are fixing the source of the water or weather damage that caused the rot. We ended up replacing all four window sills along the front because we made them an inch shorter than the old ones. If you have a basic router and intend to paint the window trim, leftover wood is fine. We used leftover poplar because it is slightly harder than pine and easier to find a piece without knots. We cut the sides a bit inwards to fit the window and dry fitted this several times. A simple run across the router to create a bullnose edge was all that was needed. If you do not have a router, most window sill material can be found in the millwork section at a home improvement store like Home Depot. Here is an example similar to ours. The window trim had some gouges and dog chewing damage as well. Although, we could have replaced the window trim pretty easily, I elected to fill it because the edge cuts on trim like this are not easy to get perfect. I have used a lot of wood filler and this is my favorite product. I thinned it out with a bit of water to get in the smaller areas. I used several thin layers to fill the holes, lightly sanding and cleaning between each layer, until I was able to fill the damage while also following the lines of the trim. For filling this type of wood, I love these sponges because they have edges that I can easily control and get into the ridges. After the trim was filled and smoothed, I caulked around the edges of all the window trim and frame. Then I primed and painted everything to match the rest of the trim in the house. Well, now that’s over, the dining room makeover will look much more finished. It’s hard to make a room inviting, cozy, and beautiful with eye sores such as these. 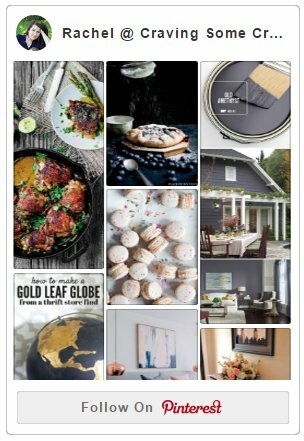 If you want to see our finished dining room makeover, check out our home tour tab with all of our before and after makeovers. Thanks for helping me understand that there must be no rot on the window frame since it can spread. I guess the best thing to do is to hire a professional since I do not know that much in handling rotten wood. We might have them on the windows of our house since this house has been passed down to me from my grandparents. They said that it has been constructed way before my mom was born, so you can imagine how old it is. Although it is always best to remove the rotten wood, in some cases, you can use a product such as stop rot or a hardener to keep the rot from spreading. I have done that in a few older homes where it wasn’t possible to remove the rot or it was a small, slightly soft spot. Thank you so much i just found your blog so helpfully. This is exactly what I need. I need to repair my interior windows. And hope so your article and tips will help me a lot about this. I will must follow this when i am going for repair it. If you had more insight i will greatly appreciate it. Thank you very much for sharing! I did not know there was a product to help stop wood rot like that! Checking out the page you linked, it seems a bit more complicated than simply removing and replacing the rotted wood itself, unless it’s part of the overall house structure. like a support beam. For some reason, this comment was under spam and I am sorry that I did not see it until now. I assume that you mean the molding underneath the window sill or the window sill itself. Many times, molding such as this is usually nailed to the wall or the wall framing using a brad nailer for speed. Then the tiny holes are filled and the molding and sill is painted. If you use a hammer upward to release the window sill, you will see these nails release along with the boards.